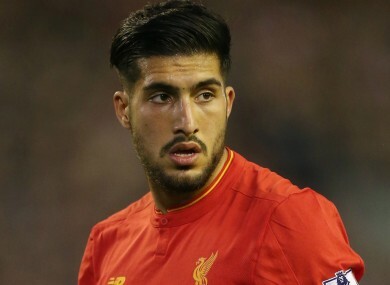 EMRE CAN HAS has his sights set on becoming a leader of Liverpool but insisted he is a long way off reaching the heights of Anfield great Steven Gerrard. I can say I am a leader but you have to show it. Of course we have other leaders like Jordan Henderson or Milner. We all want to do it. “That’s of course a big, big honour. I have a lot of respect for him but I am far off that level he played for Liverpool. Email “Can wants to be a Liverpool leader but admits he's a long way off Gerrard”. Feedback on “Can wants to be a Liverpool leader but admits he's a long way off Gerrard”.